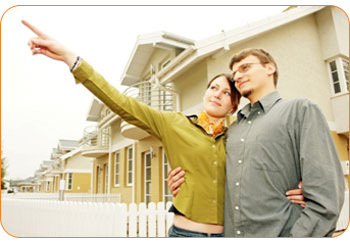 FHA home loans introduced the graduated payment mortgage loans to first time homebuyers with affordable home financing. FHA introduced the graduated payment mortgage loans (also called section 245 loans) for homebuyers who currently have low to moderate incomes but anticipate them to rise significantly over the next five to ten years. HUD manages insurance programs for home loans that assist lower-income families with the costly challenges that often prevent consumers from becoming homeowners. With this FHA loan program, prospective borrowers who have income limitations may still be able to finance a house and make reduced mortgage payments for the initial introductory period as specified by HUD. Under this program, the mortgage payment increases as the borrower's income rises. Those who are considering using a Graduated Payment Mortgage to purchase a home should keep in mind that while their monthly payments to principal and interest will start small, they will increase substantially each year for up to ten years depending upon the payment plan selected. Millions of first time homebuyers got started with a FHA home loan. These government home loans promote fair lending with flexible credit guidelines. The graduated payment mortgages originated with the Housing and Community Development Act of 1974. If you are considering financing a new home homeowners and your loan officer is suggesting a graduated-payment loan to buy a house don’t forget that your mortgage payments monthly with principal and interest will increase each year for the next five to ten years, depending which term you select in the process. FHA home mortgages were created to help you finance a home purchase at an affordable price; you should not pay above and beyond the normal fees associated with buying a home. With FHA loans, some payments, closing costs and other fees are not legal. If you are seeking an FHA loan, do not pay any 'unearned fees'. FHA loan guidelines as well as federal, state and local laws provide regulation against high cost loans. FHA has recently mailed thousands of letters to homeowners with the goal of educating consumers on foreclosure and loan default measures that are available. The mailing urged homeowners to consider a safer, more affordable alternative to the high-cost mortgages they are currently paying. These letters were mailed to homeowners who have already faced or are experiencing the 1st reset of their adjustable rate mortgage loan. The mail piece reminds homeowners that through the end of the year, FHA can insure home loans valued between $271,050 and $729,750.